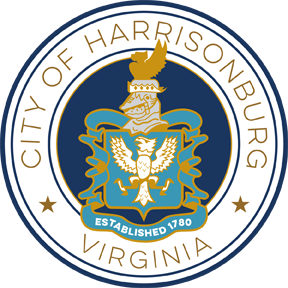 City of Harrisonburg, VA | Official site for the City of Harrisonburg, Virginia. Consider reserving a city park shelter for parties or reunions! Consider a career with the City of Harrisonburg! View current opportunities. City offices will be closed for Memorial Day. View trash collection changes. National Police Week is observed May 11-18, 2019 in Harrisonburg. Sign up for the Harrisonburg-Rockingham Emergency Alert! The Proposed Budget for the fiscal year July 1, 2019 to June 30, 2020 is available on the city website. Public Works will soon start the annual paving of roadways throughout Harrisonburg. Motorists are reminded to slow down and use caution when traveling around crews working along the roadway. Volunteer to Serve on a City Board or Commission! If you have a passion to help make Harrisonburg one of the best places to live, consider applying to serve on a city board or commission! There are several current and upcoming vacancies! The Approved Capital Improvement Program (CIP) for Fiscal Year 2019-2020 through Fiscal Year 2023-2024 is available online. The CIP is a multi-year production and scheduling of capital projects of $50,000 or greater with an appropriate financing plan to fund these projects.